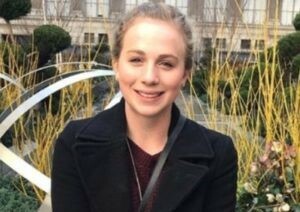 Junior Natalie Parkhurst is a very active member in Littleton High School’s Performing Arts department. 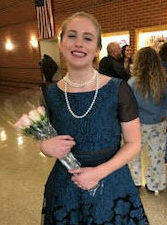 She has participated in plays for 11 years and recently played her favorite role of Claire Ganz in Littleton High School’s performance of Rumors by Neil Simon. Though she felt slightly typecast for her role of Claire, as the character description was “sarcastic gossip-monger”, Parkhurst strongly related to how Claire interacted with others and responded to events happening around her. “I loved my character and the interactions I got to have on stage were really fun, also the cast and crew had a really good relationship that made going to rehearsal fun,” said Parkhurst. Not only does Parkhurst participate in the theater program at Littleton High School, but she also participates in the choir program. She has been doing choir for six years and joined the program at Littleton because she thought it would be a good fit for her voice. This year, Parkhurst is part of one of the highest choirs at the school, the Troubadours and has enjoyed her time greatly. “It’s pretty surreal. I remember going to choir concerts in 6th grade, seeing them perform, and thinking that one day I wanted to be up there. So actually being a part of the group has been really awesome,” said Parkhurst. Parkhurst also participates in swimming, National Honor Society, Thespians, and the Speech and Debate team, recently taking 5th place for Humor at the Golden Demon Invitational on November 10th.